1996 - 2000 Volkswagen Passat B5 1.8T ABS Pump. Part number DPA12v 0130108046. Speak to us in person on +44 (0) 1524 751338. 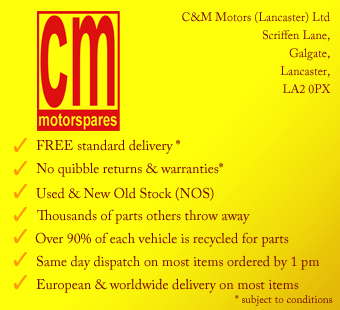 You can also use our contact form, email us on enquiries@cmmotorspares.co.uk or tweet us (we will contact you as soon as possible if outside business hours).